Manhattan was bought for 60 Gulden in 1626, which is often considered to be a one of unfairest deals in the history. 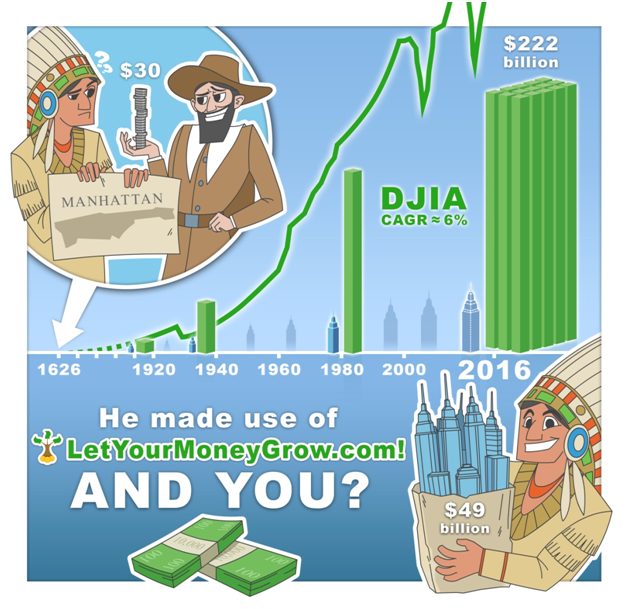 However, had Native Americans invested this money under 6% p.a., they could have bought the Manhattan back with all current real estate four times! (we can take even 2 percent). Judas powns the world now. Manhattan ROI is being under-estimated because you're not counting rent, only capital appreciation. It's like estimating equity returns but ignoring dividends. Even if (land) rental yields averaged 40 bps, Manhattan wins in CAGR. Anyway, there's a reason that the majority of very long-lived wealth is real estate. It tends to be much more robust against against both hostile governments and moron managers. Financial assets tend to be seized or devalued much more readily than real assets. Bank accounts are frozen, companies nationalized, currencies devalued, etc. Land reform does occur, but not as often, and compensation typically tends to be at least somewhat fair. Faceless bankers and speculators are less politically sympathetic than the local lord, who's family's has taken care of the peasants for generations. Second it's hard for some gullible and none-to-bright heir to run a land-holding into the ground. The 13th Duke of York may mis-manage things, but the 14th Duke of York can probably recover as long as he still holds title. 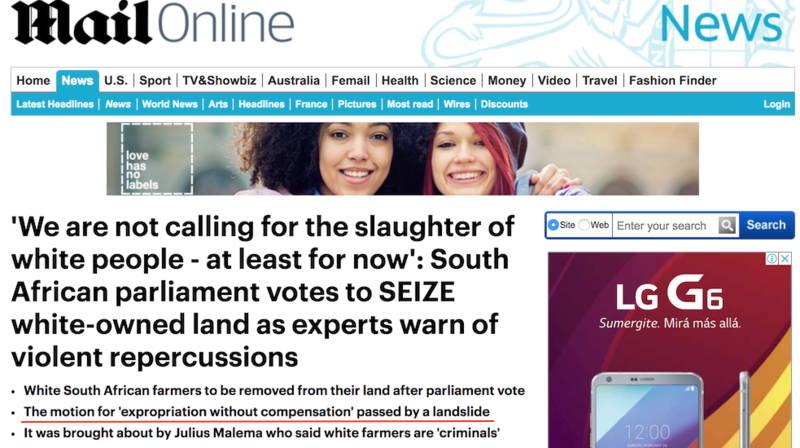 Land's value is pretty intrinsic and hard to alienate. Financialization dis-proportionately hurts the low-IQ, as many bankrupt professional athletes can attest. A few bad investments, some shady advisors, and over-leverage can wipe out even massive financial fortunes in a generation or two. @EspressoLover: all good points I largely agree with, but there is also a huge amount of survivorship bias in considering Manhattan real estate. A couple centuries ago, Russia and its surroundings were wealthier than the US. The US were an "emerging market" you stayed away from. You might have thought that land around Chernobyl was the safe bet. Or some part of Europe that was subsequently bombed, invaded, confiscated, etc... Or Latin America - Argentina was quite a powerhouse in the 19th century. So looking at Manhattan real estate returns is similar to looking at AAPL returns since 2003 and declaring "Look, Equity risk premium! Compounding!". There may be some truth to that, but it is at least widely exaggerated. Definitely agree, it's not a fair comparison at all. I though maybe using the Louisiana Purchase or Seward's Folly might be a little more representative of (American) land in general. Using some rough estimates I get capital appreciation CAGR of 5.5% and 6.1% respectively. So, Manhattan hasn't actually been *that* much better of an investment than the rest of American real estate. But your point still stands about Amero-centricity. I'd guess European land in general probably did much worse over a comparative period. Most of the US went from completely uninhabited to settled. By comparison Europe was already relatively dense 200 years ago, so the T-0 prices were probably too high for significant capital appreciation. (Rental yields must have been better though). Plus 1860-1930 results in a substantial rise in wages relative to food prices, which is always bad for land appreciation. Which of course is the same period most of the aristocratic houses go bankrupt. I'd still attribute that outcome to financialization. The Black Plague, 1330-1380, saw a similar labor/food price rebalance, but most of the noble houses survived. The difference was the availability of liquid credit markets. In the 14th century a noble family would just cut back their expenses. By the 19th, they could make up for falling incomes by mortgaging the real estate. If you're financially savvy this is great, if you're not it's like playing with dynamite. Unfortunately for the old money families, your great-grandsons a lot more likely to be the Duke of Marlborough than Baron Rothschild. Regarding your specific examples, anywhere that went Communist pretty much is 100% loss both for land and financial assets. Tragically, pretty much the same holds true if you're in a persecuted group and live under fascism. Property rights aren't high on the priority list of totalitarian regimes. With the possible exception of art or jewelry, which can be smuggled, there's not really any investment that's robust against secret police. I would guess Argentine landowners probably did better than Argentine financial asset holders over the past century. Not that the land did great, but just because there's been so many bouts of hyper-inflation, bank runs, defaults, currency shenanigans, etc. that financial assets have been nearly zero'd out multiple times. The reasoning's probably extensible to most other banana republics. I'm not sure about the losing powers in WWI/WWII, but it does seem like the industrialists made out better than the landowners in Germany post-1945. The Quandt and Thyssen families seems to have stayed massively wealthy from their corporate holdings, much more so than any landed junkers. Chalk a point up for financial assets. What is that, 20oz of silver? This will be useful the next time a gold bug talks about stores of value. Thinking in these very long terms is interesting. I wonder if you could use CAPM (or something like it) to back out long term risk of real estate versus X (X being ... I dunno, whatever you could have invested in 400 years ago, or perhaps just holding the precious metal). As already hinted at by others there is a lot of survival ship bias in such scenarios. Well it is not exactly Rocket Science! And I should know! This reminded me of this excellent trade. Don't know or have opinion about causes, fairness or possible outcomes, but these things keep happening even today. The US seems to have an institutional advantage as of today. Interesting to see how Britain reacts to this.